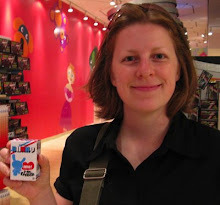 Cinemarie in english: I graduated from week 4! 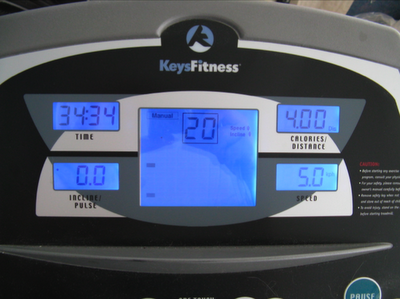 The treadmill, by default, is set to miles, but I changed it so it would display in kilometers. But I have a feeling that somewhat threw it off. The manual says that 1 lap = a quarter mile (I did 20 laps so that would mean I did 5 miles...) If I assume that the treadmill does actually convert quater miles to quarter kilometers, that would make sense and it would match the 5k from the Nike+, BUT! the distance calculator on the treadmill says 4! Um, 4 what? 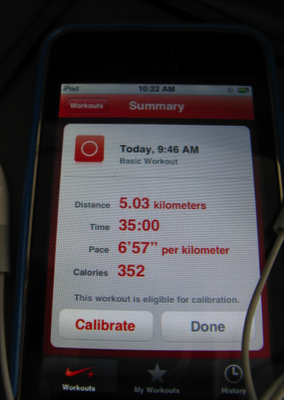 So I guess the most likely distance is indeed 4km... still not too bad! !